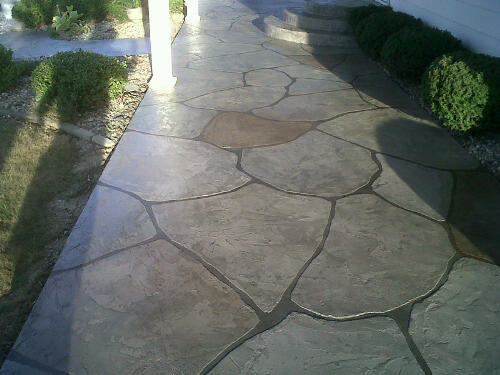 Chemical stains penetrate the concrete surface to create beautiful color tones in existing concrete. 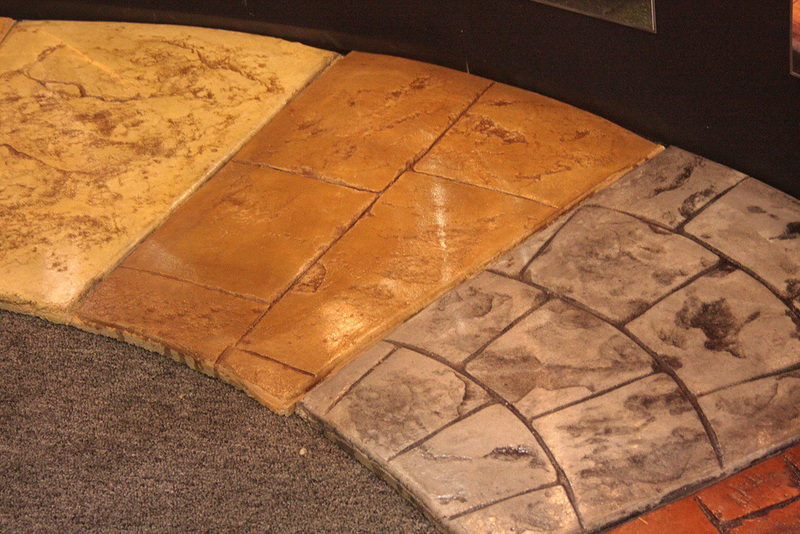 Stains react directly with the concrete's minerals and produce uneven, mottled, and variegated color effects. 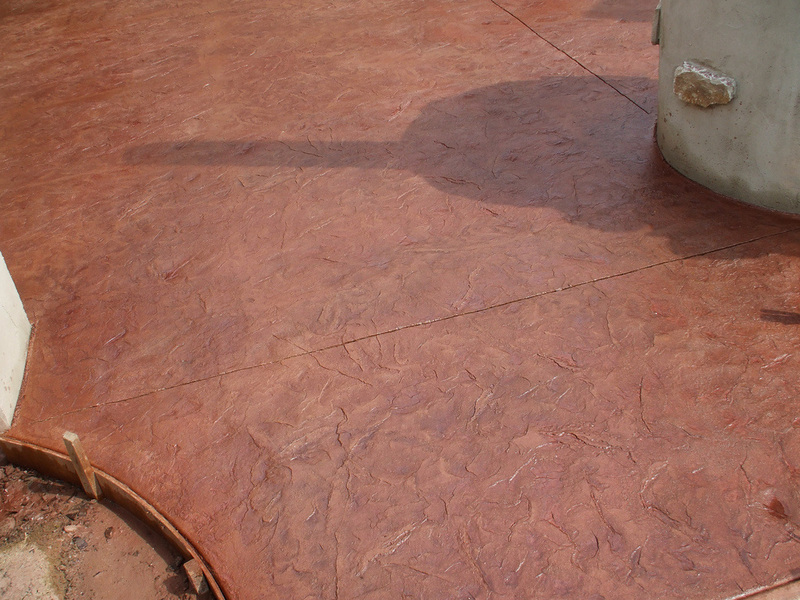 Chemical stains can be used for both interior and exterior applications and are often used on concrete that had already been colored integrally or with the dry shake method.